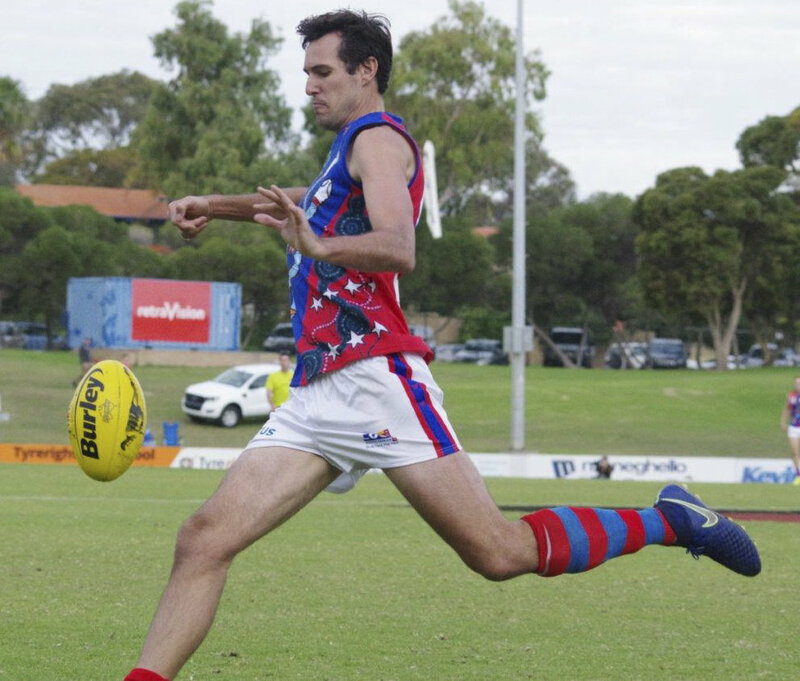 WEST Perth kicked nine of the last 11 goals to beat East Fremantle by 30 points at East Fremantle Oval in NAIDOC Round on Saturday with Corey Chalmers delivering a career-best five goals. East Fremantle might be anchored to the bottom of the WAFL ladder with just two wins for the season, but they did come off an improved second half the previous week despite losing to Claremont. 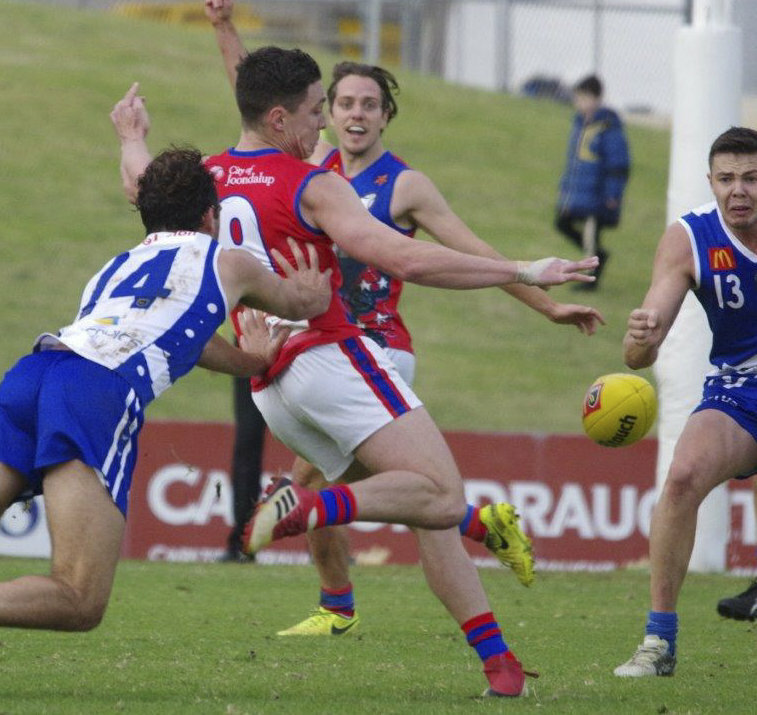 And then despite West Perth kicking three goals in just over five minutes to open proceedings on Saturday, East Fremantle responded well and were 15 points up by midway through the third quarter after Cameron Loersch had kicked his third goal. The Falcons did respond impressively to kick the last four goals of the third term and then five goals to two in the last to come away with the 15.15 (105) to 11.9 (75) victory. The win improves West Perth to an 8-5 record on the season to remain well clear in third position on the WAFL ladder. The day for West Perth was highlighted by a career-best performance from Corey Chalmers. 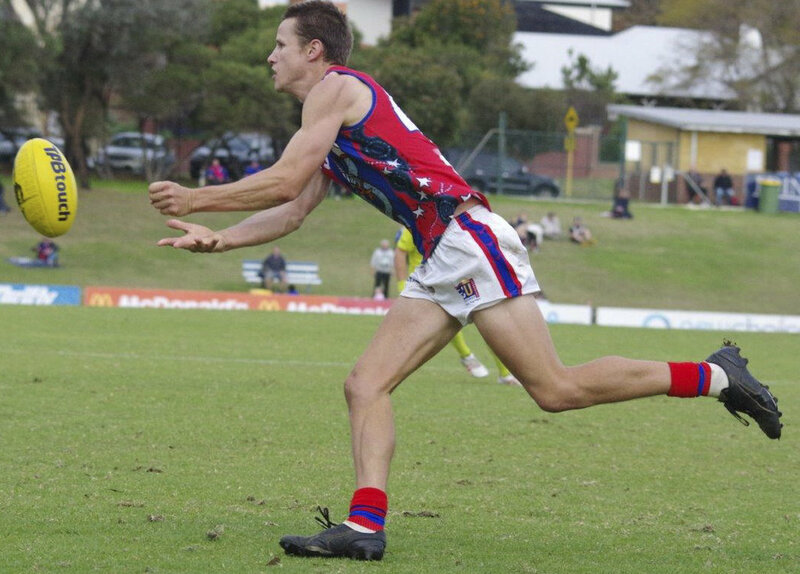 Having spent much of his early career for the Falcons as a small forward despite being a natural on-baller, he hadn’t kicked a goal coming into Saturday's trip to East Fremantle Oval. He had kicked just seven behinds so far in 2018 but for the first time in his 56-game WAFL career, he kicked five goals for West Perth to go with 18 possessions and six marks. Keegan Knott also kicked four goals from 18 disposals, eight marks and six inside-50 entries with Tyler Keitel adding three goals, 19 touches and seven marks. 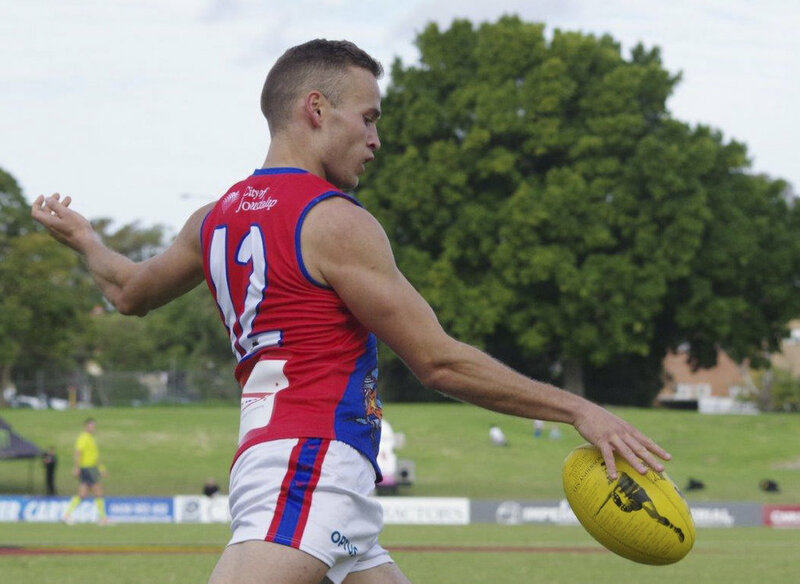 Triple Breckler Medallist Shane Nelson produced another stunning performance in the midfield for West Perth too with 44 possessions, nine inside-50 entries, six tackles and five marks. Luke Meadows also gathered 29 disposals for the Falcons, Dean Munns 29, Aaron Black 28, Steve Potente 21, Blake Wilhelm 19, Mitch Peirce 18 and Mark Hamilton 18 along with six marks in his 50th league appearance. Chris Keunen had a good ruck battle all afternoon and ended up celebrating his 200th game for West Perth with 17 possessions, seven marks and 20 hit outs. West Perth had every right to feel confident coming into the game at East Fremantle Oval having won four straight over East Fremantle by 51.5 points. The Falcons then started on fire with three goals inside the first six minutes, two to Corey Chalmers and another to Steve Potente. The signs were ominous but East Fremantle did well to stem the tide and then kick the last two goals of the second quarter courtesy of Cameron Eardley and Cameron Loersch. That made the margin just eight points at quarter-time before again West Perth started strongly in the second term with two goals to Tyler Keitel in just over the opening five minutes. The Sharks got a goal back to George Hampson and when West Perth responded with Keegan Knott kicking truly, the Falcons were up again by 21 points. That was back to nine by half-time, however, with two late goals to the home team from Dion Anthony and Hampson. It was East Fremantle who made the fast start to the second half with the Sharks putting together some of their best football all season in the opening 15 minutes. The end result was two more goals to Loersch, a third to Hampson and another Jarrad Jansen. That saw the Sharks lead by as much as much as 15 points following the third goal of Loersch for the afternoon. West Perth had to respond and did with four goals before three quarter-time to take a 12-point lead into the last change after Chalmers booted his third and fourth of the day, Knott his second and Trent Manzone also kicking truly. A fifth to Chalmers and a third to Keitel saw West Perth's lead grow to 23 points early in the final term and the Falcons went on to record the solid 30-point win despite an improved East Fremantle showing. East Fremantle's reserves took its chance better than West Perth on Saturday at East Fremantle Oval with the Sharks ending up beating the Falcons 10.6 (66) to 5.14 (44). 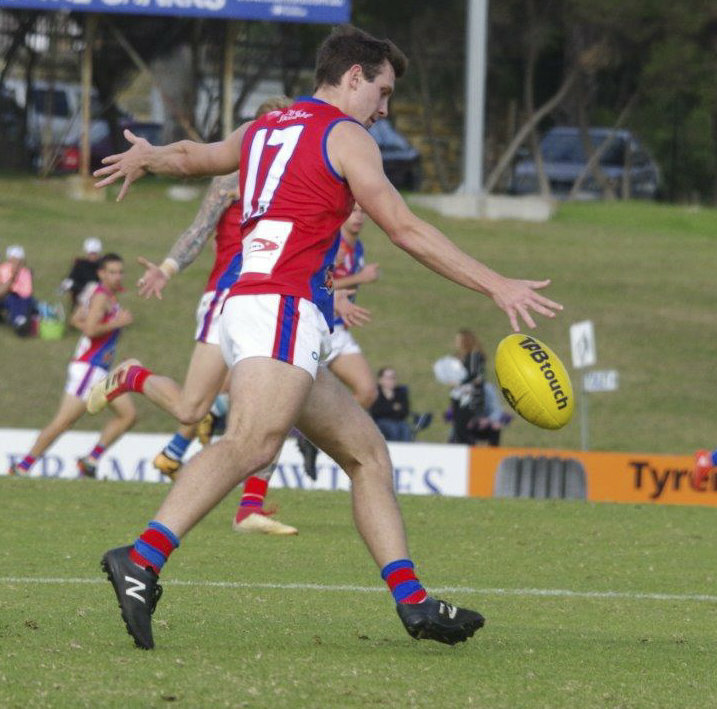 West Perth did lead by two points at quarter-time before kicking just six behinds in the second quarter while East Fremantle kicked three goals. The Sharks kicked another four goals to two 2.6 in the last quarter to come away with the 22-point victory. Leon Pearton, Zac McCarrey and Jesse Wynne all kicked two goals apiece for East Fremantle. Ben Harding racked up 31 possessions for the Sharks, Pearton 20, Matthew Burton 20, Jayden Quill 19, Russell Wynne 19, Nick Bonomelli 17, Tom Marshall 16 and Jye Clements 16. 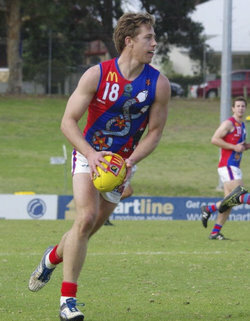 Tom Boyes kicked two goals for West Perth to go with 15 possessions and 12 tackles. Rudy Riddoch had 25 possessions for the Falcons but kicked five behinds while Aidan Lynch gathered 27 disposals, Lachlan Johns 19, Alex Coe 18, Dylan Yem 18 (10 tackles, nine marks), and Kael Coleman 17. East Fremantle's colts further consolidated their position inside the top four by recording a solid 43-point victory against West Perth on Saturday morning at East Fremantle Oval. East Fremantle started strongly at Shark Park against the Falcons kicking three goals to one in the opening quarter. The Sharks then added the only four goals of the second term to lead by 38 points at half-time having held West Perth to just the one goal in the entire first half. It was a much more even contest in the second half but West Perth couldn’t close the gap with East Fremantle ending up with the 12.12 (84) to 5.11 (41) victory. Noah Clune, Nathan Murray, Jamie Dowen, Lachlan Scurria and Ryan Hudson all kicked a goal apiece for West Perth. West Perth has the bye now in Round 16 to gear up for a season-defining run of games against Swan Districts, Peel Thunder, South Fremantle, Subiaco and East Perth to close the season before the Round 21 bye. 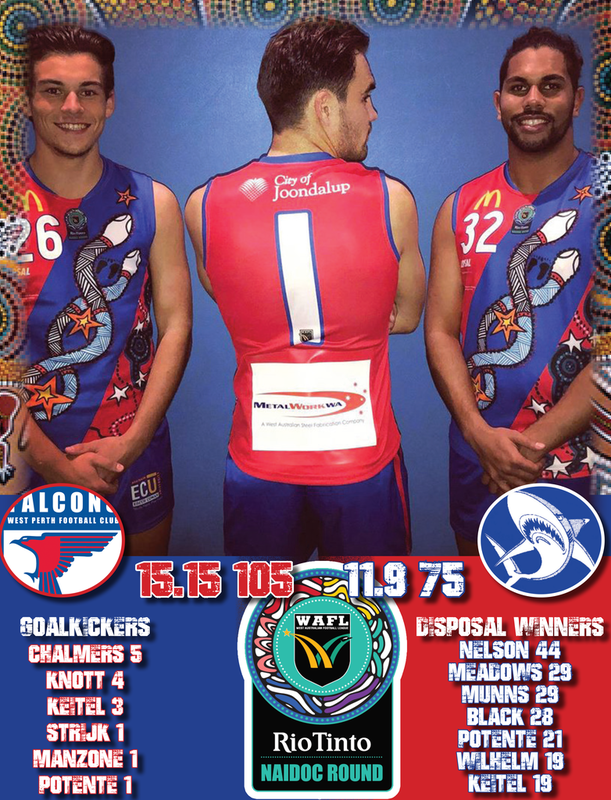 WEST PERTH – Goals: Chalmers 5; Knott 4; Keitel 3; Strijk, Manzone, Potente. Best: Chalmers, Nelson, Munns, Knott, Hamilton, Meadows, Black, Potente. EAST FREMANTLE – Goals: Loersch 4; Hampson 3; Anthony 2; Eardley, Jansen. Best: Hampson, Anthony, Schofield, Loersch, Winton, Marsh, Kommer, Eardley.